The Mansfield Public Library is pleased to offer free wireless Internet access to customers with appropriately equipped wireless devices. The “WiFi Zone™” has been designed to support a wide-range of IEEE 802.1b/g laptops, PDA, and other devices. When you access the Internet via any Mansfield Public Library network, wireless or cabled, you are agreeing to abide by the Library’s Internet Access Policy. Please take the time to review this policy before accessing the network. Just launch your web browser to establish a connection to the Mansfield WiFi Network, recognized simply as “MPL” by your device. Your browser’s home page will appear and you may begin surfing immediately. If your device does not connect see the appropriate FAQ below. 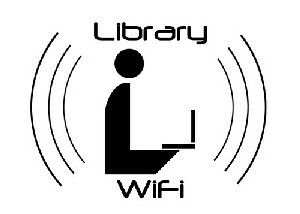 WiFi is radio wave technology which allows an appropriately equipped device to access the Internet and library resources from within the Mansfield Public Library without physically connecting to a network via Ethernet or a phone line. Coverage is available in the adult department of the library. Reception may be weaker in some areas than in others. Our “Silent Study” area is best. You need a laptop (or suitable PDA) equipped with an IEEE 802.1b/g compatible (Wi-Fi) wireless network card. Some laptops have wireless cards built-in, for most others you can purchase a compatible card to plug into your computer. Installation of the card and its associated software will vary depending on specific computer, card, and operating system. You also need a charged battery. Some of the library’s tables are near electrical outlets, but not all. What if I don’t own a laptop? 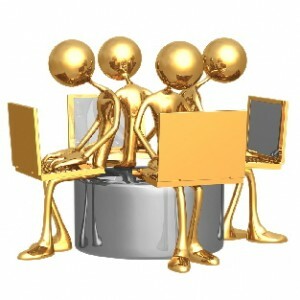 If you don’t own a laptop you can’t use the wireless network but you can access the Internet using the Library’s public access computers; sign-up is required for the use of these workstations. While using our network (either wired using our computers or wireless using your own) you agree to be bound by our Internet Access Policy. In simple terms you agree not to interfere with or disturb other patrons (use headphones if necessary), and not to use our network to harass other people or break the law. Why are you providing this service? The library’s goal is to provide access to informational, educational, and recreational resources and to make efficient use of technology; a wireless network fits well with that goal. It also has the advantage of freeing up public use computers for others to use. In most cases, a connection will be automatic and you will need to do nothing more than just open your browser and start surfing. Details of configuring your computer for wireless networking will vary depending on the specific models of laptop, operating system, and wireless network card, and are therefore beyond the scope of this brief pamphlet. The SSID of the network is: MPL. The public wireless network is open; no password or key is needed to join. No. We have decided to try offering access without requiring any registration; if there are problems with unrestricted access we may reconsider registration. Yes, follow our Print from Anywhere service instructions here. I can connect to the Internet, but how do I get help finding the information I’m looking for? If you have questions about accessing the Library’s reference databases or about finding specific information on the Internet, you should ask at the Reference Desk. Is the WiFi network secure? No, but wireless networks are not unique in that respect; on all shared networks, whether wired or wireless, users can potentially eavesdrop on each other’s data, though it is not usually likely that they will. Whenever it is appropriate and practical, you should use additional methods to secure your data. If you are transferring confidential information (passwords, credit card numbers, online banking information, health data and so on) you are strongly encouraged to use secure web sites (SSL) or other techniques (SSH, VPN) to safeguard your confidentiality. The library is not responsible for insuring the privacy of information you transfer over our network, and if you are very cautious you may not choose to transmit some information using anyone’s WiFi. Do you collect or log data about my session? We log the hardware address and temporary IP address assigned to your computer (information necessary for creating the connection). The wireless network neither collects nor stores any other information about you, your computer, the web sites you visit or the data you transfer over our network. Library staff is not able to provide technical assistance and no guarantee can be provided that you will be able to make a wireless connection. The Library assumes no responsibility for the safety of equipment or for laptop configurations, security, or data files resulting from connection to the Library’s network. Please note that the library cannot assist you with your laptop, card, or configuration. The library cannot accept the liability of handling your equipment. Yes. Wireless networking uses very low power signals in the same frequency band as many cordless phones, and manufacturers design their equipment to fall well within industry safety guidelines. Experts generally agree that WiFi technology is very safe when used appropriately. Wi-Fi® and the WiFi logo are registered trademarks of the Wi-Fi Alliance ; and Wi-Fi ZONE™, the Wi-Fi CERTIFIED logo, the Wi-Fi Alliance logo and the Wi-Fi ZONE logo are trademarks of the Wi-Fi Alliance.